Today on Sunday, 26 May 2013 the day at historical Gaiety Theatre Shimla was a day full of music, contests and entertainment. It was a day of entertaining competitions at Gaiety Theatre, where hundreds of young students from various schools, colleges and universities of Shimla had gathered to cheer up their friends participating in various entertaining contests. 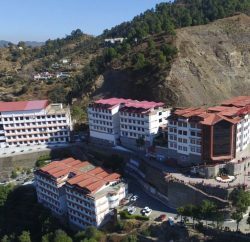 This year, Unified Shimla Musicians – a group of youngsters of Shimla chose “demotion of drugs” as the major theme for annual Shimla Fest event of young students of Shimla. The other two themes were ‘promotion of green tourism’ and ‘gender sensitization’. Shobita Goel, the Executive Trustee of APG Shimla was the special guest on the first day of this 2-days Fest. 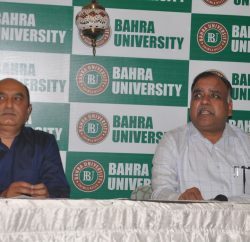 Dr Ajay Prasher, the Dean of School of Management at Bahra University and Uday Mittal, the Assistant Professor of Management at Bahra University were the judges in the jury which judged the performances of students in various events. Amongst colleges Abhishek Sharma of IGMC won the Hindi Declamation contest whereas amongst schools Shimona Prateek was the winner. Akhil Guleria of APG Shimla University won the English Declamation contest in college students’ category and Vashi Negi of Auckland House was the winner in school students. Bhavya Kaundal won the Hindi Slogan Writing competition and Vishal Singh of St. Edwards was the winner in English Slogan writing contest. In on-spot creative writing contest Kalpna Kanwar of Aukland House School was the winner in Hindi writing and Atif Ahmad of St. Edwards won in English writing. The winners of Group Dance contest will be declared on Monday. The young crowd in Gaiety Theatre also enjoyed various guest performances presented by Dance groups and Musical Bands of young artists of Shimla. Shobita Goel, Dr Ajay Prasher and Uday Mittal presented the prizes and certificates to the winners. 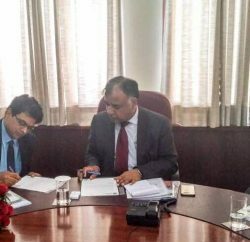 They appreciated the team members of Unified Shimla Musicians (USM) for organising Shimla Fest in order to provide opportunity to youth of Shimla to showcase their talent at an open platform.